There are just some voices that make you say “wow”. Not too long ago, before the universe took her voice back to the heaven it came from, I was lucky enough to see Aretha Franklin and I remember thinking, “there is no way that voice is still that good, still that strong. She has GOT to be singing from a track!” But I knew better. It wasn’t a track. The universe bestowed the Queen of Soul with a voice that reminds you that miracles can indeed be seen if you look for them, still be heard if you open your ears. Lady Soul’s voice was one of God’s miracles. Speaking of “miracles” what about Smokey Robinson? The emotion one feels with Aretha is more than seconded when Smokey sings. Locally, Jessica Brown has a voice like that, and if you have been to a Root Shock show you know what I am talking about. If you haven’t, you and I need to talk. I still marvel at Debbie Harry’s clear vocal power, and the power of Chrissie Hynde, a voice that can soothe or snarl and sometimes both at the same time. The voice of Karen Carpenter can rip your heart wide open, and more so when you lay that exquisite voice against the matrix of how her life was, before her voice was silnced. I love the sound of Delbert McClinton whose blues/soul voice sounds like a hundred juke joints, a voice that sounds like America. Same thing with John Hiatt. And what about the beautiful voice of Bob Marley? A voice so good, and a heart so true that he single handedly catapulted a genre from a small island into international recognition that still runs today. These people have been endowed with voices that make your ears perk up, that make you listen. Voices that make you marvel that a human can make such beautiful sounds. Voices that make you say “wow”. I think sometimes though we take some voices for granted. I know we all did with Tom Petty, and with Gord Downie. I think for too long we took Linda Ronstadt for granted and now that Parkinson’s disease has robbed her of the ability to sing we look to her recordings. 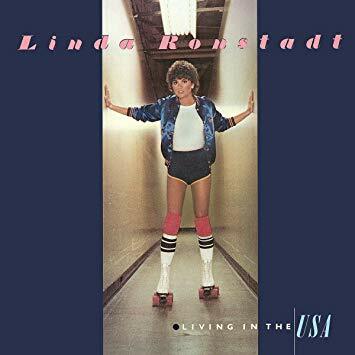 This year an unearthed recording of a TV special Linda did in 1980 was released and is starting to chart. I remember this TV special well. It was on HBO, and although 15 year old me was, and still am, a punk rock kid at heart, I knew about Linda. I wasn’t much of a follower of the L.A. music scene, it really left me cold. I knew what I had read in copies of Rolling Stone and Creem magazines, but Linda I payed attention to. Her voice was clear and vibrant and like none other I had heard. Linda was never known as a songwriter, but she never needed to be, she could take your song, any song, and make it a marvel. I mean who in the world can out sing Roy Orbison on Blue Bayou and then go one further by giving you the last line in Spanish. If the follicles on the back of your neck don’t tingle as you listen to that, well, you need to get a support dog or something. Her song selection pushed me into artists and writers I had not known about. I will always owe her a debt for introducing me to Warren Zevon with her take on “Poor Poor Pitiful Me”, necessarily she replaced Zevon’s sardonic wit in the song with more of a femme fatale point of view, but she sure sounded good singing it. Maybe more importantly, in my mind anyway, she gets big bonus points for having recorded not one, but two Elvis Costello songs and did so before the world knew he was a master songwriter, and not just an another angry Brit. Who knew? Linda knew. I may have also had a crush on her, but cut a 15 year old some slack will ya? I mean have you seen the cover of “Living in the USA”? Show that to any 15 year old boy in 1980 and watch his skin clear up instantly. In those days, HBO was the only pay channel on cable. The remote for your cable box was a wired monstrosity that had buttons and rows and looked like a primitive game console. The Linda Ronstadt show was, if memory serves, the featured presentation on a Saturday night. I’m pretty sure I skipped watching Hockey Night in Canada to see it. I remember being blown away by the seemingly effortless way Linda sang each note. The way she let her voice soar, especially on the crescendo harmony on “It’s So Easy”. I needed my own copy of the performance, and in those pre everything available days I had to use my crappy Realistic tape recorder that I got from Radio Shack with it’s built in mic and leaned it up against the TV speaker. 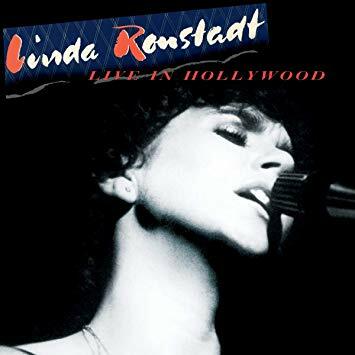 I played that show over and over, Linda has the honor of delivering the only version of Desperado I could stomach, the song that ended the performance. I never shared my love for that beautiful voice of hers, with anyone, until now. Now that I’m older and through being cool, as if I ever was. Now that I realized that guilty pleasures are pleasures indeed and guilt is just so much wasted thought. From time to time I thought about that show. Remembered the side players that were assembled. I didn’t exactly pine for it, maybe more of a wistful remembrance. And out of nowhere comes a recording of the show released to the world and it’s just as good as I remember it being. Just when Linda’s few public appearances are limited to the odd Q & A session now and again, Linda sings again. You should check it out and listen with new ears. Hear a voice that makes you say “wow”. Want to know when I publish stuff? Go ahead and fill this form out. I promise no spam, no crap. It’s just for us and our special relationship.